​Strange question you may think – not really, and one that so few people actually consider. We have been compelled to write about this today after witnessing yet another situation where unthinking people have taken advantage of an already stressed system. So here is the scenario : There is a kind hearted person who is desperately trying to find a dog a home as if not the owners are threatening that the dog will shortly be sent to a PTS shelter. The dog ends up being placed in a home that is altogether unsuitable for it and with absolutely no investigation or thought into determining whether the dog and the home are a suitable match. The person trying to find the dog a home has a solution for the problem. A temporary solution at least because disaster has been averted, and they have assured the new owner that if there are any problems they will take the dog back – they are aware that there could be potential problems, but at least they have bought some time and the dog will not be PTS. But at what cost we ask you? The person who has taken on the dog did so as they felt that if they did not the dog would be killed – it was not a breed they were considering, but it was a lovely dog and they felt sorry for it and there was such urgency about the situation. The fit is totally wrong and not only is this going to result in heartbreak for the wonderful person who took the dog on – the dog is going to go through another major upheaval and this will make it even harder for the dog to be successfully adopted and its stress levels will be sky high. Am I strong enough to handle and walk this dog? Am I too old (or too young in the case of a child) for this dog? Is the right breed for me? 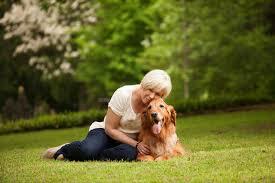 You could be a very social person who loves walking a dog and end up with a breed that is known not to be sociable. Is the dog reactive to other dogs when out on walks or even in the home? Does the dog try to escape? Does this dog like cats? Will the dog get on with my own dogs? Does the dog like all breeds of other dogs or does it have preferences? So who’s responsibility is it to find the right dog for the right home? A combined effort! The shelter or rescue people involved should have done a full assessment on the dog to determine what kind of home will suit the dog best, and on the other side of the coin, the person adopting should have thought long and hard as to which dog would suit their lives the best. On the shelters side, all shelters should already be doing assessments on the dogs before they are adopted out and they should know the answers to the questions above as well as a host of others. All shelters are welcome to make use of the two Questionnaires we mention above on their own website, and we are more than willing to speak to all shelters about hosting the Canine Behaviour Shelter Course at their shelters. As much as we wish that each and every dog in a shelter could be fostered or adopted, we would rather the dog stayed in the shelter a bit longer, than ending up going to the wrong home – heartbreak for the family, additional stress for the dog and each and every time the dog is returned, the chances of a good home are reduced. We spend hours, sometimes day and weeks into thinking what kind of car would suit our families and do intensive investigation, but when it comes to dogs that can be with us for well over a decade, have sharp teeth, share our homes, we allow ourselves to rush into a decision with little thought as to the practicalities around our decision. It is our job as professionals to educate the public and to ensure that the decision to take on a dog is not taken lightly. Please do your ‘dog work’ before bringing in one of these incredible furkids into your home – for the sake of not just you and your family – for the sake of the dog as well.